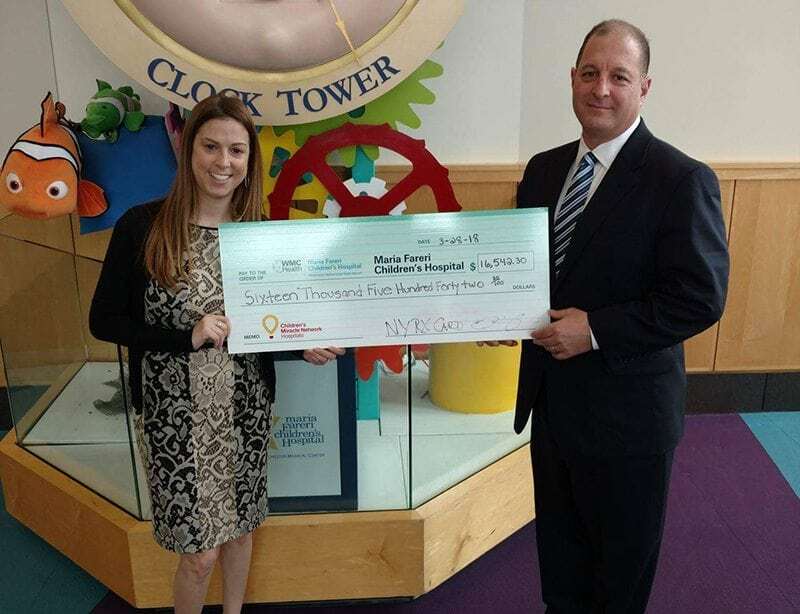 Pictured: Meredith Buono DaGrossa, the Director of Community Relations for Maria Fareri Children’s Hospital and Peter Ciccone, New York Rx Card Area Rep Manager. New York Rx Card is pleased to present a check to Maria Fareri Children’s Hospital. It has been exciting for New York Rx Card to work with Maria Fareri Children’s Hospital and their “family-centered care” approach to treating children. The future is bright for Maria Fareri Children’s Hospital and the New York Rx Card partnership. It’s important to know that each time you choose to utilize the New York Rx Card, you choose to give back to your local CMN hospital.